Città di Castello, which translates as “town of the castle”, actually has no castle. If you walk down the side streets looking for a medieval castle, you will be disappointed. The name Città di Castello is the result of a long transformation linked to the historical periods that the town lived through. The first urban conglomerate of which we have evidence was Tifernum Tiberium, a roman port on the Tiber River. This is why the inhabitants of Città di Castello are still called Tifernati. Some archaeological remains of the roman port have recently been found and are now visible in the southern part of the historic centre in the Mattonata district. When the Lombards invaded Tiferno in the 6th-century CE, its name became Castrum Felicitatis, which means “Castle of Happiness”. During the Middle Ages, when the town became independent and achieved the status and power of a Comune (township), the name Castrum (“camp” in Latin) became Civitas and, then, Civitas Castelli, from which the name Città di Castello is derived. The most convenient, free car park for tourists is in Piazzale Ferri. 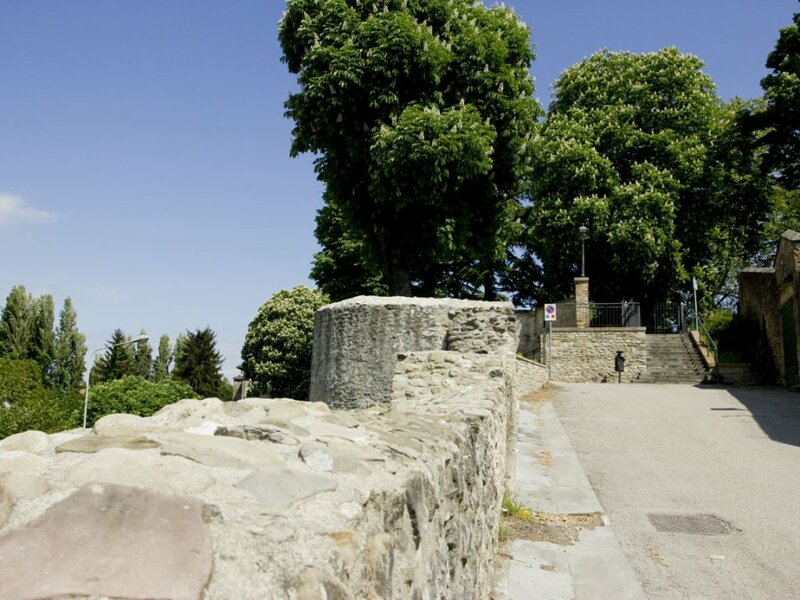 Upon exiting the car park, you will come face to face with the old town walls dating back to 1200 CE, which had been rebuilt and restored many times. 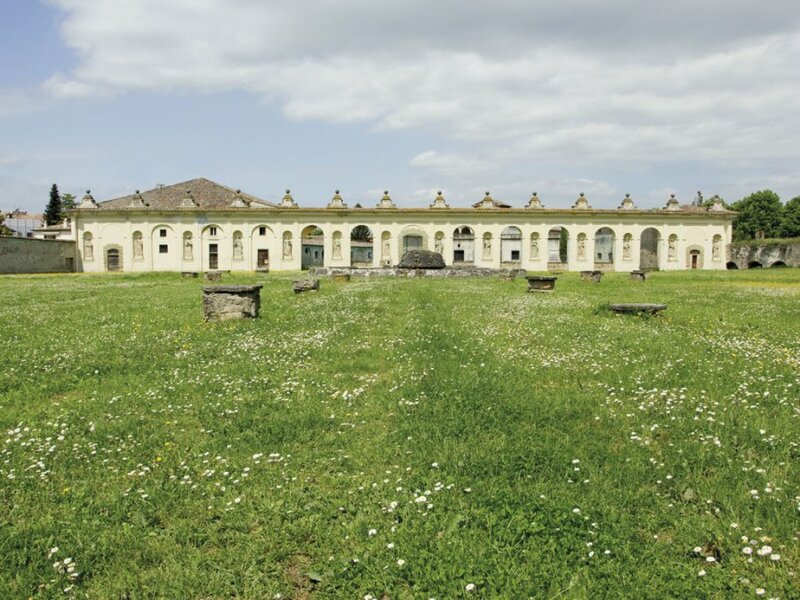 Inside these walls are two escalators offering easy access to the town and bringing you up to the Giardini del Cassero (Gardens of the Keep), a small park where young lovers meet. 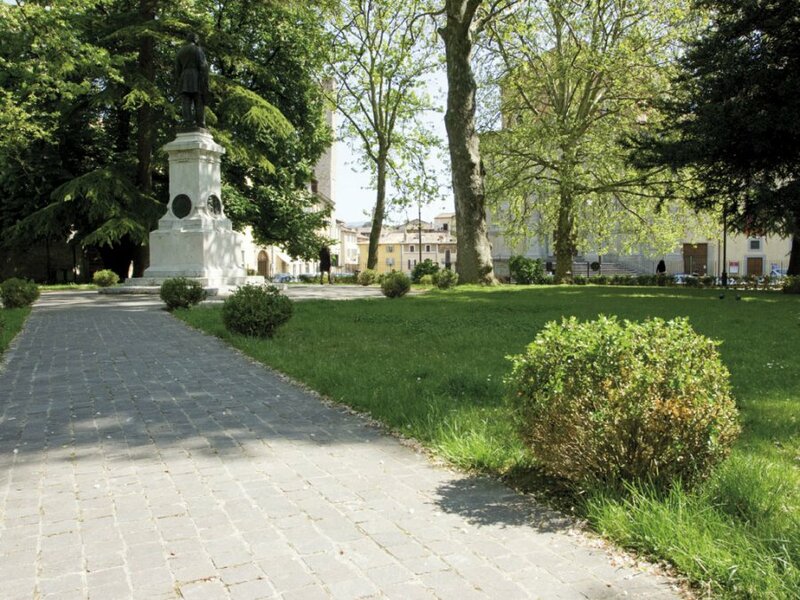 Cross the gardens and you will find the medieval square of the town, Piazza Gabriotti, called Piazza de’ Sotto (Lower Square) by the local inhabitants. - The Cathedral, Cathedral Museum and Town Hall, the latter was built between 1322 and 1338. It was designed by Angelo da Orvieto, a famous architect who also designed the Palazzo dei Consoli in Gubbio. - The Civic Tower, which is also known as the Bishop’s Tower because it is located near the bishop’s residence. It was built in 1300 CE and was a prison for a long time. - The Round Bell Tower, which you can get to it by descending the steep lane on the right side of the Town Hall (Via della Legna and Via del Modello). 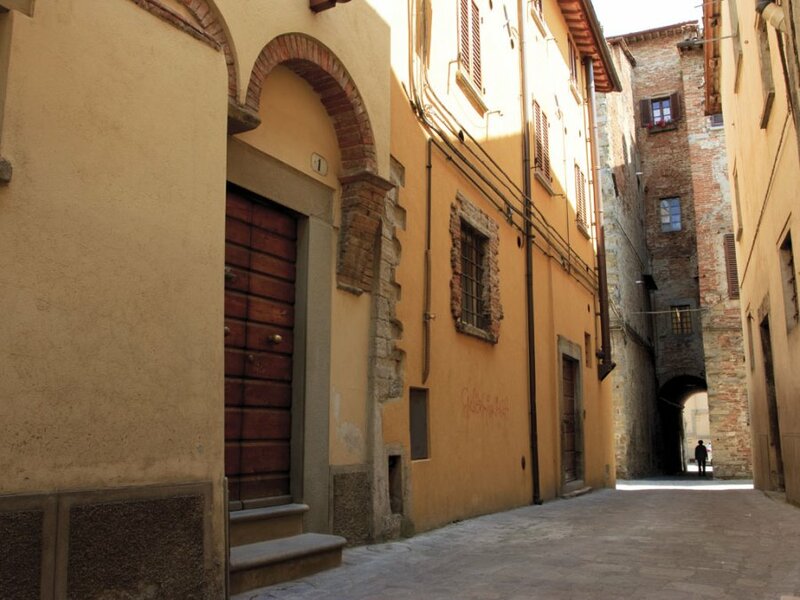 The tourist itinerary continues along Corso Cavour, which boasts a small, splendid 14th-century loggia (recessed balcony) and the Palazzo del Podestà (People’s Palace) designed by Angelo da Orvieto in the early 1300s. Opposite the Palazzo is the Grifani Donati print shop, now a museum that houses working presses from the 1700s. Its owner, Gianni Ottaviani, will be your guide. At the end of Corso Cavour is Piazza Matteotti, a large square called Piazza de’ Sopra (Upper Square) by the inhabitants and the heart of the town. It is the perfect place to have an espresso in one of its many bars. 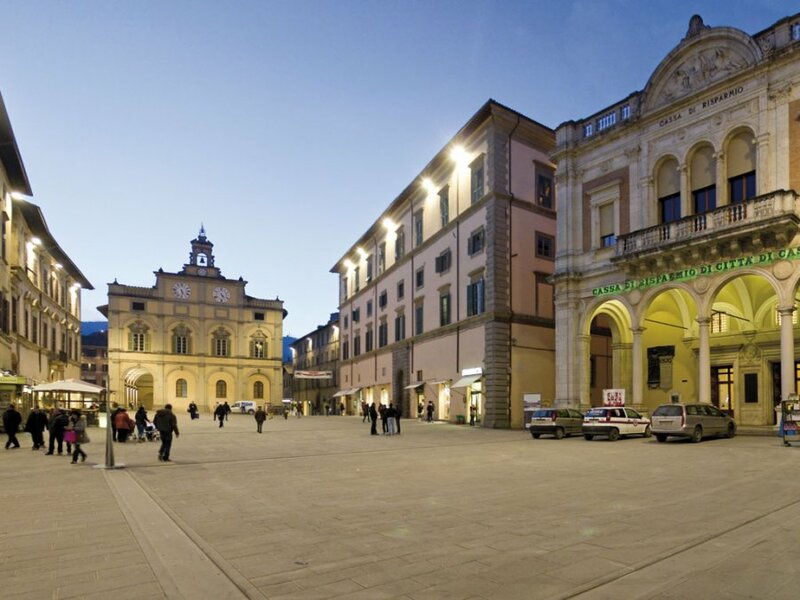 On the square stands the Palazzo Bufalini with its splendid loggiato (internal portico) that houses the Tourist Information Office (IAT) and public restrooms. From this point on, the town takes on a Tuscan appearance created in the 1400s by the Vitelli family, a powerful seigniory who made the town similar to Florence and gave it the renaissance appearance that it still maintains today. The buildings in Corso Vittorio Emanuele and the districts of the historic centre are based on 16th-century architectural canons. This is another reason why Città di Castello resembles a Tuscan town rather than an Umbrian one, which is usually a medieval village located atop a hill. Corso Vittorio Emanuele is lined with trendy shops that, once you enter, are actually housed in surprisingly, marvellous ancient cloisters. At the end of Corso Vittorio Emanuele are the imposing St. Mary’s Gate and the church of the same name to its right. This mid 14th-century gate is the most well-preserved of the four gates that give access to the historic centre. The church was built by the Vitelli family in the late 1400s and is a wonderful example of the Italian gothic style. Walk along the side of the church in Via Borgo Farinario and you will reach an area of major archaeological interest that, unfortunately, is now abandoned and zoned for urban development. 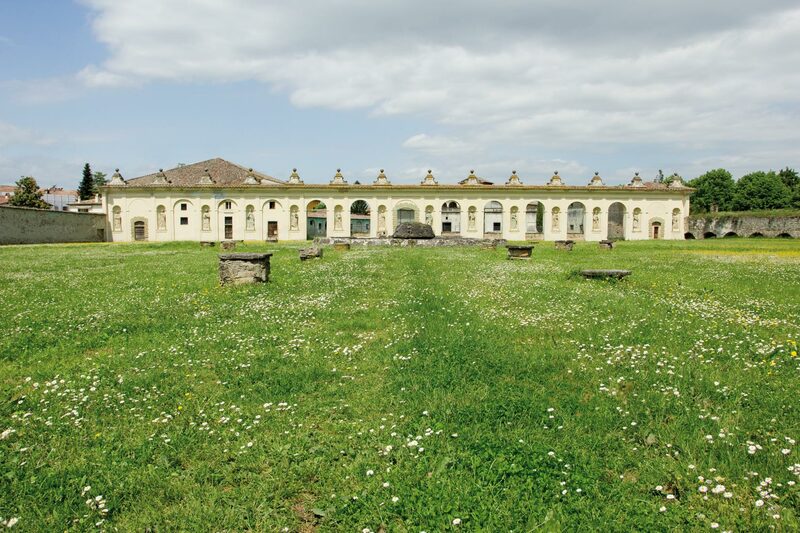 In front of this area is the most famous and picturesque of the five buildings constructed by the Vitelli family. It is called the Palazzo Vitelli alla Cannoniera and houses the Civic Picture Gallery, which is the second largest museum in Umbria after the National Gallery in Perugia. On the right side of the Palazzo Vitelli is the neo-gothic Church of St. Dominic, which was not completed until 1424. In it once hung the famous “Mond Crucifixion” by Raphael, now in London’s National Gallery, and the “Martyrdom of St. Sebastian” by Luca Signorelli, which fortunately is still conserved in the Picture Gallery. Go back to Piazza Matteotti and head north until you get to Piazza Raffaello Sanzio, named for the painter Raphael, and the Church of St. Francis. Inside it, above a side altar, you will find a copy of the famous “Marriage of the Virgin” by Raphael that originally hung there. The painting was plundered by Napoleon and is now in the famous Brera Picture Gallery in Milan. Walk down Via XI Settembre and you will come to the small Church of St. Mary of the Graces. It was originally built in the 1300s; however, repeated restorations have significantly altered its appearance. Inside it hangs a beautiful painting depicting “St. Mary of the Graces” painted in the late 1400s by Giovanni di Piamonte, a follower of Piero della Francesca. 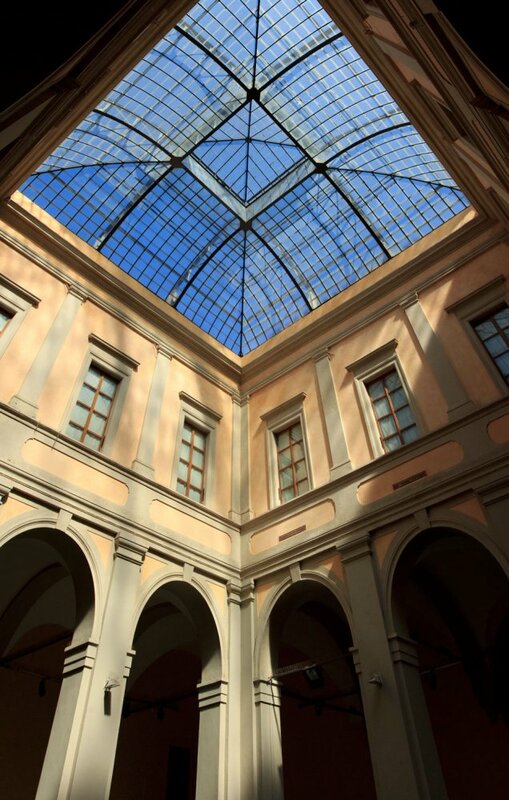 Take Via XI Settembre back to Piazza Raffaello and exit the square into Via degli Albizzini until you get to the Burri Foundation, a national contemporary art museum. Its collection along with the one in the Old Tobacco Drying Houses are the legacy that the famous abstract painter and sculptor Alberto Burri left to his native town. The tourist itinerary ends at the most opulent of the Vitelli buildings, Palazzo Vitelli a Sant’Egidio, a true seigniorial palace. 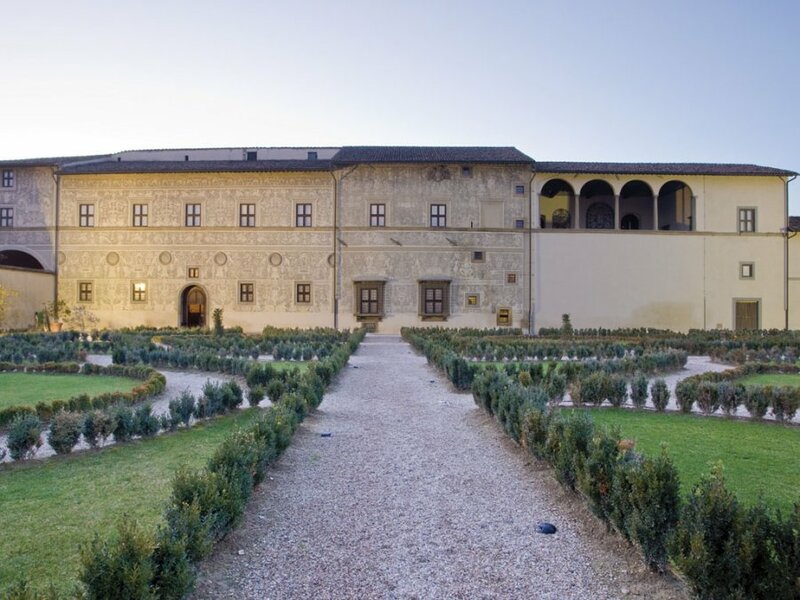 After many restorations, the building is now owned by the Cassa di Risparmio di Città di Castello (Savings Bank of Città di Castello), which has recently reopened it to the public and uses its wonderful rooms for art exhibitions.